New Research on Gospel Contradictions. Interview with Mike Licona. 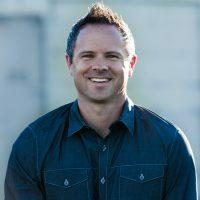 SEAN MCDOWELL: Mike, what got you interested in the question of Gospel contradictions? MIKE LICONA: Back in 2008 and 2009 I was publicly debating Bart Ehrman on the resurrection. He brought up Gospel contradictions as one of his major objections to the Gospels. I have noticed that this genuinely bothers many Evangelical Christians. As a result, I decided to look into it in more depth. I wasn’t so much concerned about resolving them, because I understood that if Jesus rose from the dead, Christianity is true, regardless of any errors that might be present in the Bible. So, even if there are contradictions in the Gospels, it wouldn’t negate the truth of Christianity. But it does bother a lot of Evangelicals, so that’s what got me interested in the topic. And to be honest, it did make me question the historical reliability of the Gospels. MCDOWELL: What makes your approach to Gospel contradictions unique? LICONA: Most approaches involve trying to harmonize various passages to see if all the details can fit together. This can be a legitimate practice. But many times it can go way too far. Both Richard Burridge and more recently Craig Keenerhave shown that the Gospels belong to the genre of “ancient biography.” If this is correct, it would be plausible that we would see the same amount of flexibility in the Gospels as we observe in other ancient biographies. So, I wanted to learn what those flexibilities were. By carefully reading ancient biographies written around the same time as the Gospels and comparing how they tell the same stories differently, I began to recognize that some of the differences resulted from compositional devices. Then when I went to the Gospels, I could see that the authors were probably employing the same compositional devices as other ancient biographers; specifically Plutarch. I began to realize that the differences across the Gospels are not so much contradictions but the result of compositional devices that were the standard practice in historical writing of that day. MCDOWELL: Can you give me one example, briefly, of one something you found? LICONA: Sure! In 52 BC, Rome was in a state of great chaos. Even though it was unprecedented, at least for a long time, they elected one person to serve as sole consul. The consul was the highest position in the Roman republic. And two consuls served simultaneously for one year. So, the Roman senate voted to have Pompey serve as sole consul for the year 52 and give him near-absolute power during his term in office. Pompey introduced many new laws, including one ruling that lavish speeches of praise called “encomiums” could not be given at a trial on behalf of a defendant, since it had no bearing on whether that person was innocent. So Pompey passed this law, then proceeded to break it. In one biography by Plutarch, the Life of Cato the Younger, Plutarch reports that Pompey wrote an encomium on behalf of his friend Plancus and sent an emissary to read it at his trial. But in the Life of Pompey, he narrates Pompey himself going and reading it. The reality is an emissary actually read it as we find in Plutarch’s Life of Cato the Younger. But in the interest of an economy of words, Plutarch simplifies by narrating Pompey himself read the encomium at Plancus’ trial, even though, in fact, he wasn’t actually present. We find something similar going on in the Gospels. The Gospel of Luke tells us about a centurion who had a valuable servant who was very sick. So, he sent some elders of the Jews to Jesus and request of him to heal the servant. Jesus agreed and they headed to the home of the centurion. When the centurion learned Jesus was approaching, he sent some of his friends with a message to Jesus saying he was unworthy to have Jesus enter his home and that Jesus only needed to give the command and his servant would be healed. Jesus marveled at the centurion’s faith and healed the servant from a distance, without ever seeing the centurion (Luke 7:1-10). In contrast, the Gospel of Matthew narrates the story by having the centurion himself go to Jesus and make the request in person. Like Plutarch, Matthew simplified the story by transferring what one character said to the lips of another. MCDOWELL: How has your research of ancient biographies affected your faith? LICONA: As I said before, even though Gospel differences didn’t worry me in terms of the truth of Christianity, they did rattle my confidence in the historical reliability of the Gospels. This research suggests that almost all of the differences we observe in the Gospels probably resulted from the use of compositional devices that were part and parcel of the literary conventions of ancient historical writing and were not the result of the Gospel authors using inaccurate sources or being pitifully inept historians. Once I understood this, I thought, “Wow, that’s pretty cool!” I may not be able to know whether the centurion was present. My guess is he didn’t show up, that the event played out closer to how Luke narrates the story, and that Matthew altered the details in order to simplify. This is one of many examples I could cite where the Gospel authors employ various compositional devices that resulted in differences. In some cases we may not be able to know what actually occurred. But we have enough to get a general idea of what happened. And I’m fine with that, although ten years ago it would have made me feel a little uneasy because I assumed the Gospel authors would have been committed to writing with the same precision we moderns have. But I’ve come to recognize that all of the biblical authors wrote using the literary conventions in play at the time they wrote and that a truly high view of the Gospels as holy writ requires us to accept and respect them as God has given them to us rather than to force them into a frame shaped by how we think he should have. MCDOWELL: When is the book officially coming out on your findings? LICONA: It should be out summer or fall, 2016.